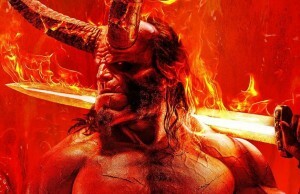 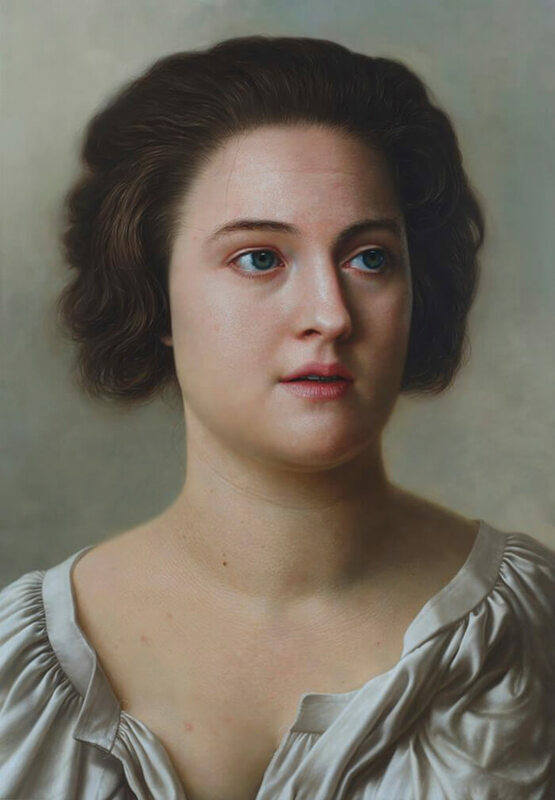 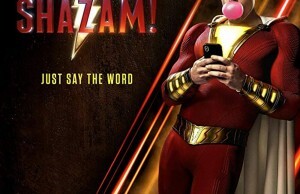 These giant portraits of celebrities, historic characters, and other live subjects are not photographies but actually stunning hyper realistic art paintings. 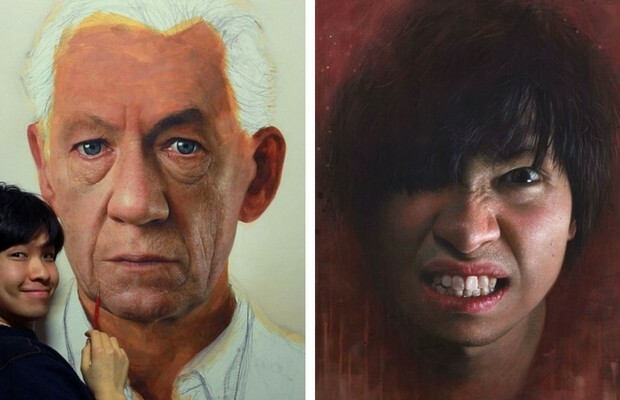 Artist Joongwon Charles Jeong from South Korea has mastered his painting techniques to such a level there is a possibility your jaw will drop from the amazement while you scroll down the gallery of his fascinating work. 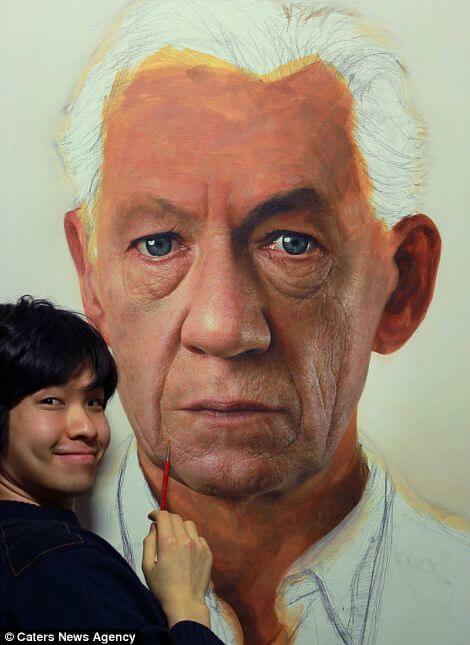 He uses acrylic paint on canvas and he can paint the smallest details on faces of the subjects. 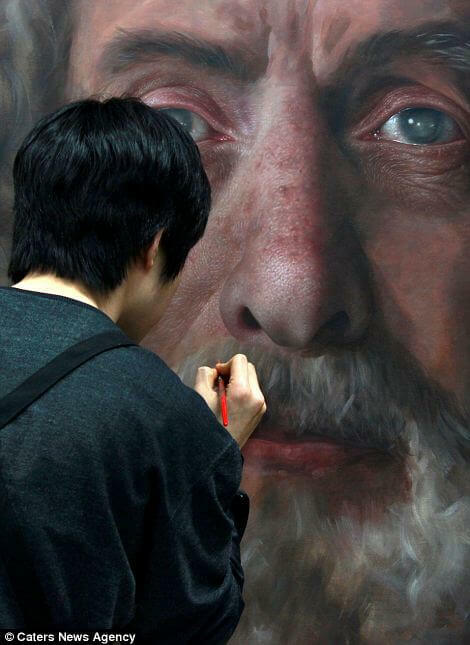 We can only imagine the precision of his brush strokes while he paints every pore of the selected face. 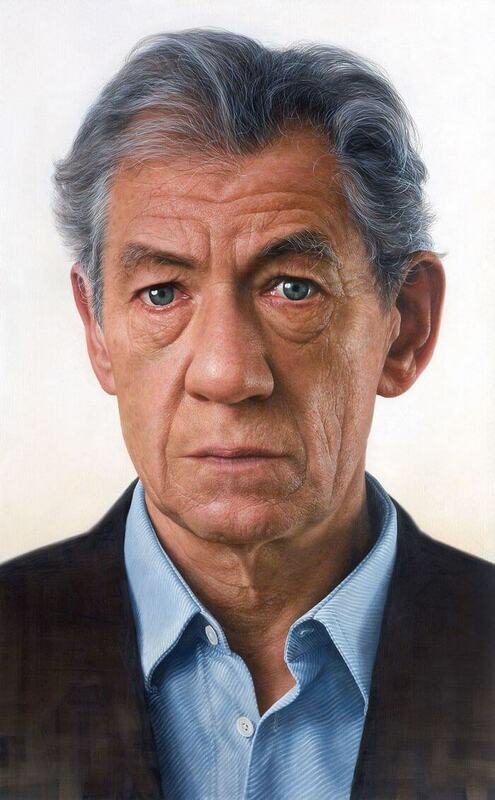 Actor Sir Ian McKellen – really life-like portrait. 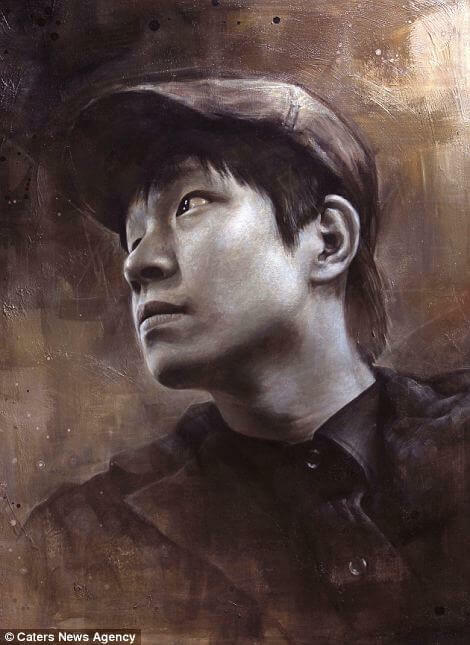 It’s no wonder people often mistake Jeong’s paintings for photographs. 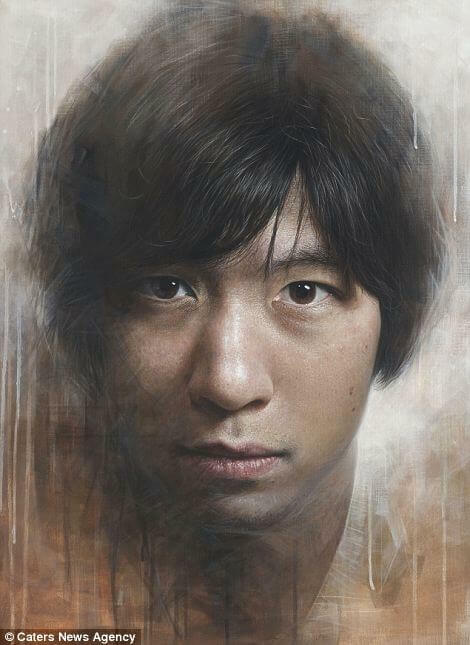 Hand-painted portrait using acrylic paint on canvas. 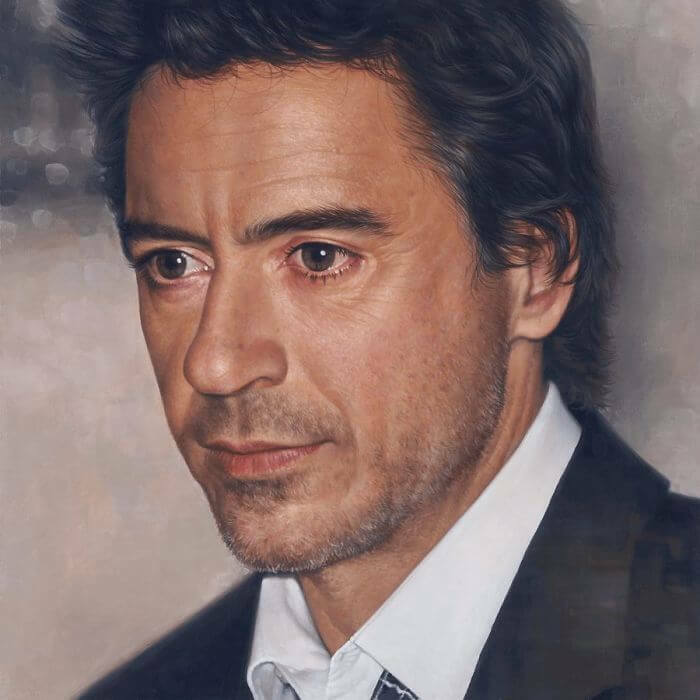 Robert Downey Jnr – a hyper realistic art painting by Joongwon Charles Jeong. 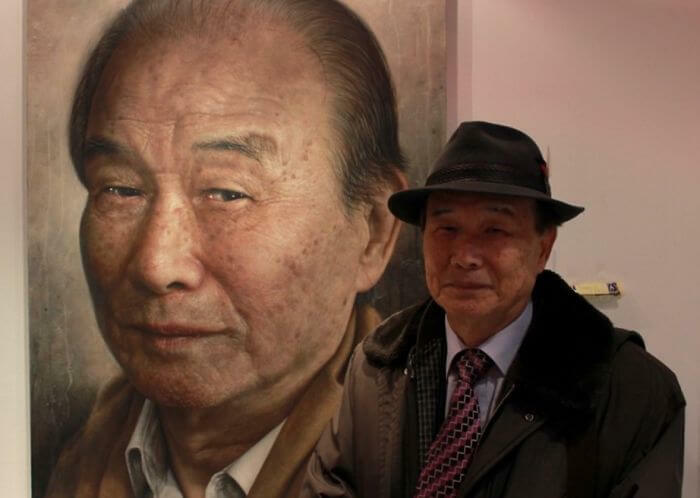 Painting the live subject – artist’s granddad poses with his portrait at the artist’s studio. 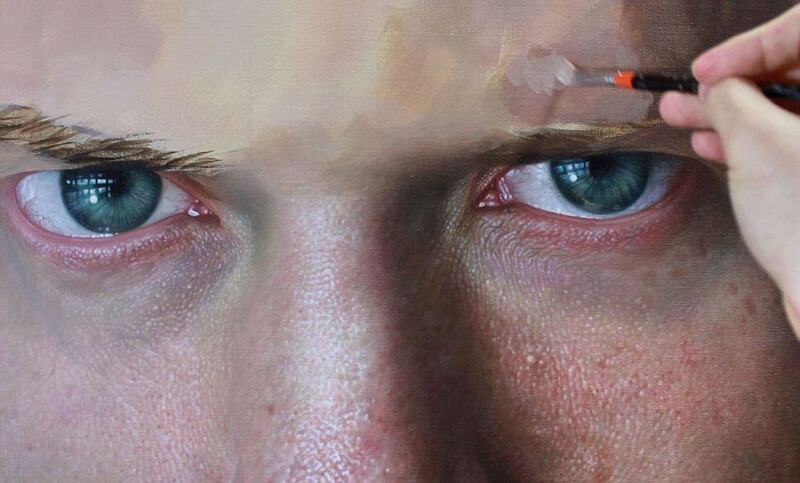 Painting the smallest details on faces of the subjects for mastery results. 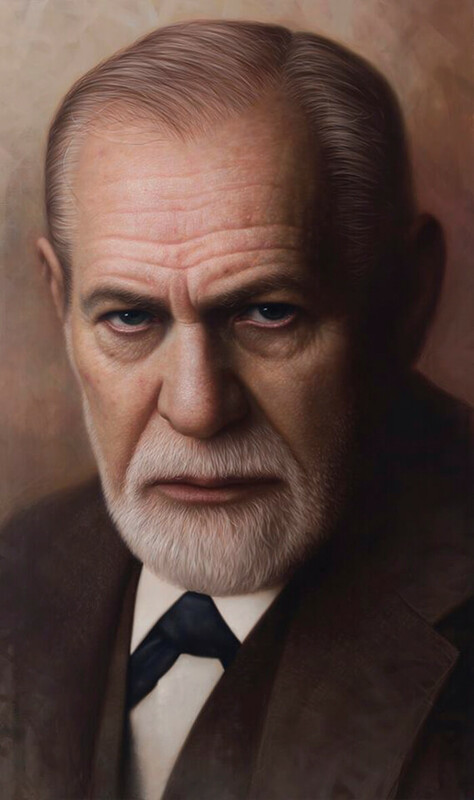 No, this is not a photography. 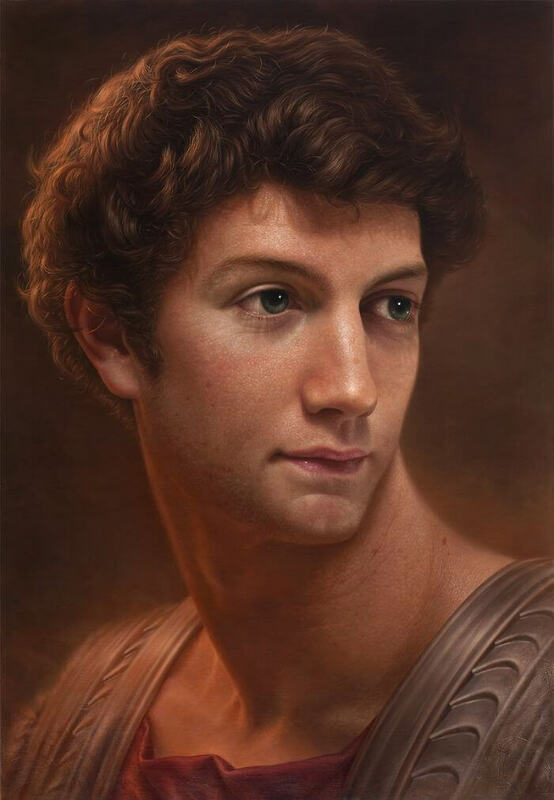 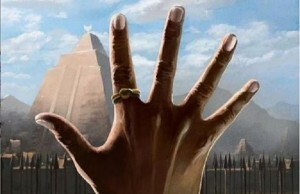 Painting historical characters in the smallest detail – Homer. 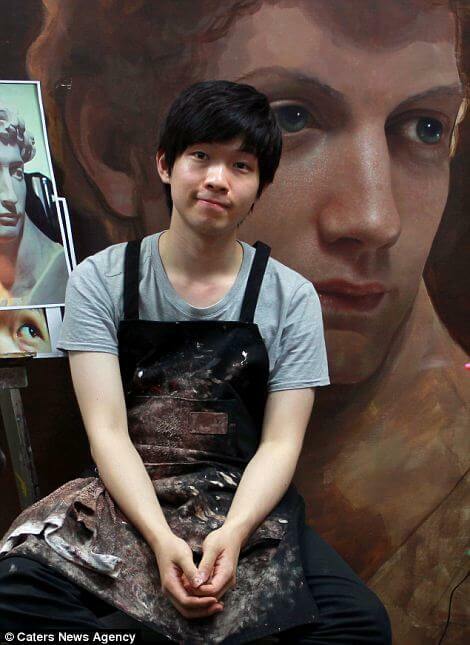 South Korean artist in his studio among great artworks. 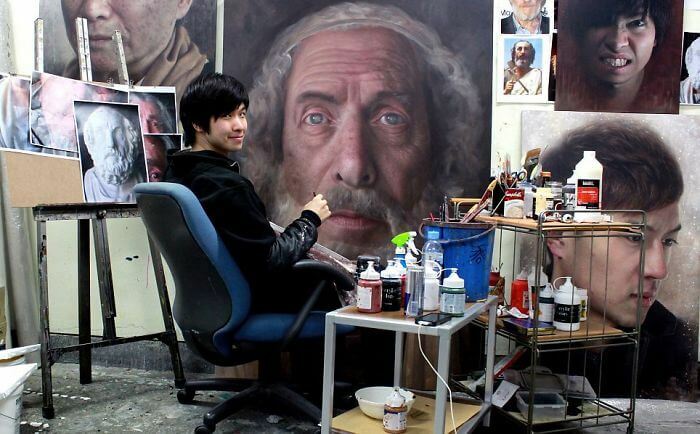 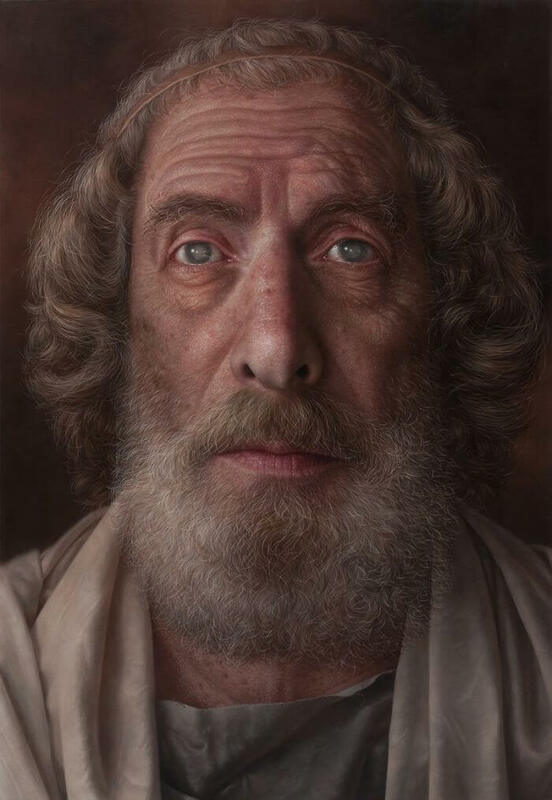 The process of creating the stunning hyperrealistic portraits is long and precise. 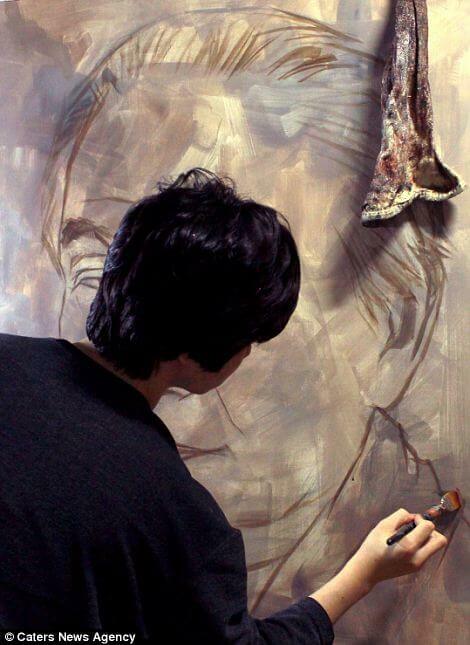 Drawing an outline of his subject before gradually layering color paint on top. 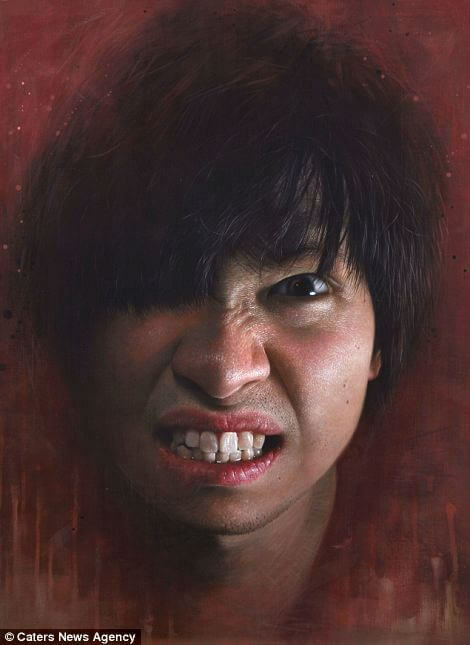 One more selfie – the angry face this time. 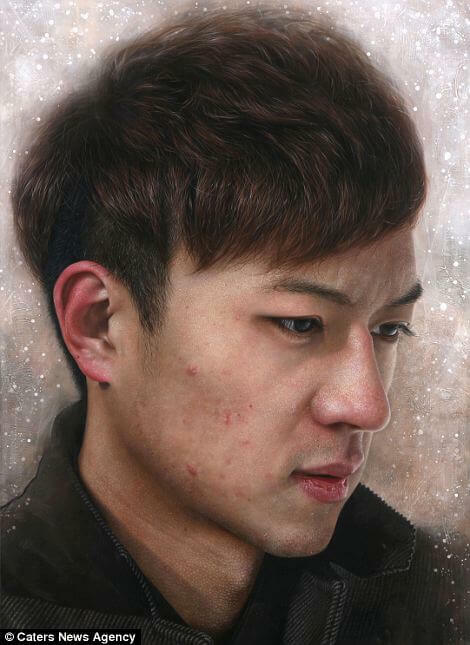 A painting called “A young man in the winter” and one more self-portrait. 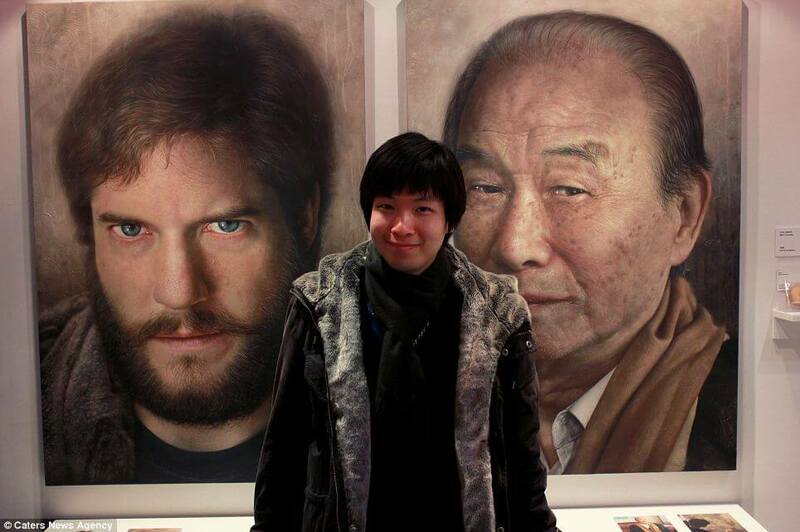 A student not so long ago is going to become a teacher soon. 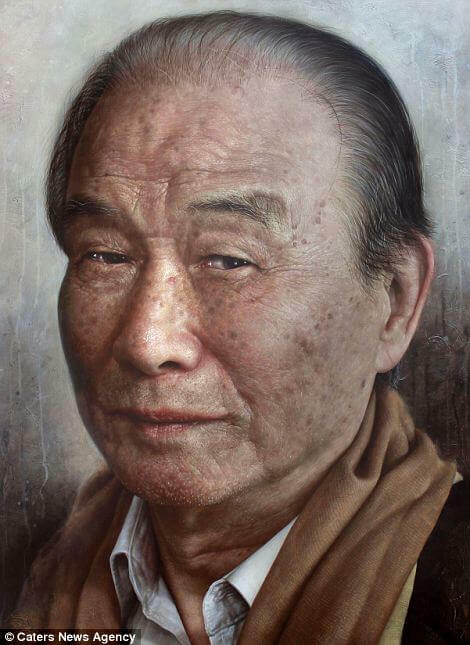 Try to imagine the precision of the artist’s brush strokes while he paints every pore of the selected face.